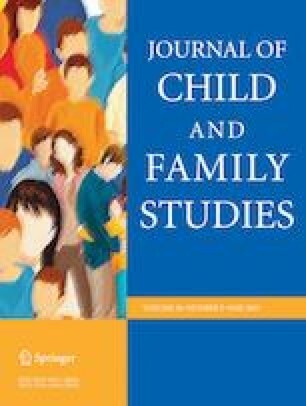 This study aims to explore the relationship of mother’s ways of coping with stress and family communication with the child internalizing and externalizing behaviors in Ukraine. In a cross-sectional sample of 294 mother-and-child (9–16 years of age) Ukrainian dyads, mothers answered questions from the revised Ways of Coping Checklist, FACES Family Communication scale, Child Behavior Checklist, and questions about their sociodemographic characteristics. Robust regression results suggest increased internalizing behaviors were statistically associated with poor family communication (b = −.19, 95% CI [−.30, −.08], p < .01), maternal coping by accepting responsibility (b = 2.14, 95% CI [.44, 3.84], p < 0.05), escape-avoidance (b = 3.79, 95% CI [1.00, 6.58], p < 0.01), planful problem solving (b = 2.80, 95% CI [.61, 4.99], p < 0.05), child female gender (b = −2.53, 95% CI [−4.22, −.83], p < .01) and lower family income (b = −.003, 95% CI [−.006, −.0001], p < .01). Increased child externalizing behaviors were statistically associated with maternal seeking social support (b = 3.25, 95% CI [1.06, 5.43], p < .01), decreased positive reappraisal (b = −1.52, 95% CI [−2.91, −.12], p < .05), maternal unemployment (b = −2.80, 95% CI [−5.30, −.30], p < .05), poor family communication (b = −.46, 95% CI [−.59, −.34], p < .001), and child male gender (b = 3.48, 95% CI [1.53, 5.44], p < .01). Poor family communication was linked with significantly higher increase in internalizing behaviors for girls compared to boys (b = .17, 95% CI [.03, .32], p < .05). When examining child internalizing and externalizing behaviors it is important to consider the role of family communication and maternal coping. The present study was supported in part by grant 1D43 TW009310 from the Fogarty International Center, the National Institute of Alcohol Abuse and Alcoholism, and the National Institute on Drug Abuse (Principal Investigators: Robert Zucker, PhD and Maureen Walton, PhD). V.B. designed the study, assisted with the data analyses, and wrote the paper. Q.W. and S.W. analyzed the data and wrote part of method and results sections. I.C. contributed with the design and writing of the study. All procedures performed in studies involving human participants were in accordance with the ethical standards of the institutional and/or national research committee and with the 1964 Helsinki declaration and its later amendments or comparable ethical standards. The study was approved by the Ukrainian Methodological Psycho-medico-pedagogical Center of the Department of Education. Beauchaine, T. P., Katkin, E. S., Strassberg, Z., & Snarr, J. (2001). Disinhibitory psychopathology in male adolescents: discriminating conduct disorder from attention-deficit/hyperactivity disorder through concurrent assessment of multiple autonomic states. Journal of Abnormal Psychology, 110(4), 610–624. https://doi.org/10.1037/0021-843X.110.4.610. Rubenstein, L. M., Alloy, L. B., & Abramson, L. Y. (2016). Perceived control and depression. In J. W. Reich & F. J. Infurna (Eds. ), Perceived control: Theory, research, and practice in the first 50 years (pp. 229–252). New York, NY, US: Oxford University Press. https://doi.org/10.1093/acprof:oso/9780190257040.003.0010. Wadsworth, M. E., Evans, G. W., Grant, K., Carter, J. S., & Duffy, S. (2016). Poverty and the development of psychopathology. In D. Cicchetti (Ed. ), Developmental Psychopathology (pp. 1–44). Hoboken: John Wiley & Sons, Inc. https://doi.org/10.1002/9781119125556.devpsy404.